There is a new sports sponsorship opportunity in town that is making major headlines. And it is costing brands millions of dollars to get on some very exclusive space. 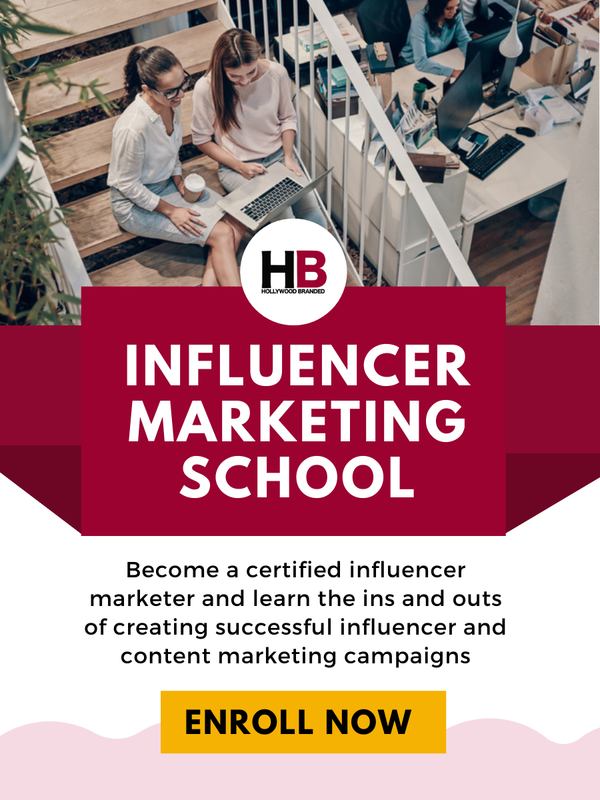 And brands like Bumble, Goodyear, General Electric, Wish, Rakuten, Disney, and StubHub have jumped on board. In a spin-off from what soccer teams have been doing for years, comes one in-your-face branding opportunity. The uniform sponsorship. 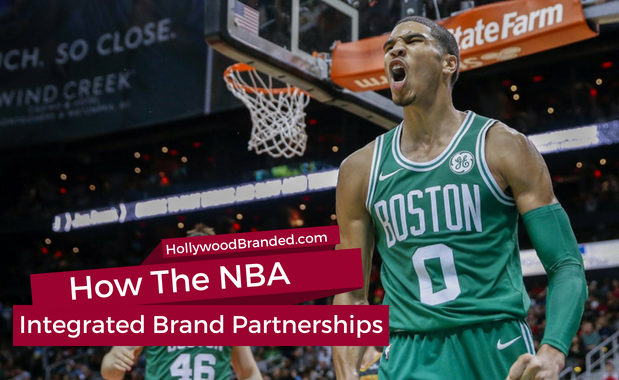 In this blog, Hollywood Branded discusses how NBA brand uniform sponsorships were established, and what brands you can expect to see on your favorite teams. Sponsoring sports has been around for decades. The most notable, in your face, sports sponsorships are NASCAR’s giant brands on the hood of the car, on the uniforms of the drivers, and with signage along the speedway. The next prolific sports sponsorship that comes to mind is soccer, with the company sponsor names and logos on the front of the jerseys, on the stadium walls and on the step and repeats behind their media walls. 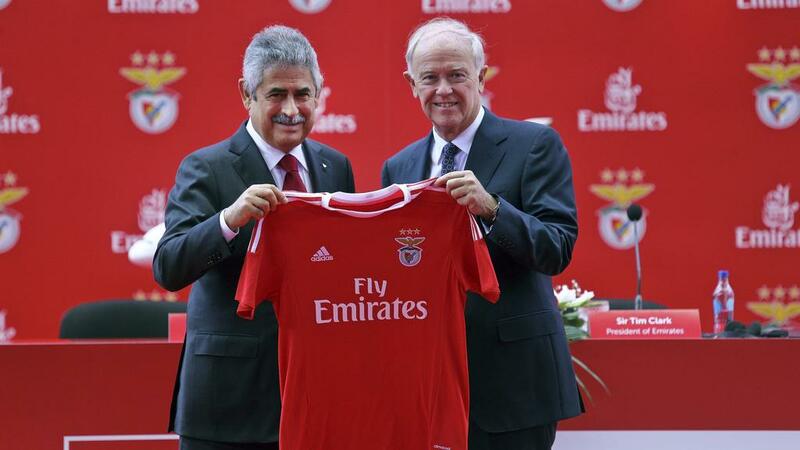 Sponsors such as Fly Emirates and Chevrolet have placed their brands on some of the most notable soccer teams. They use the athletes as walking billboards to promote their brand. To get on the front of these team’s jerseys, the company must pay a pretty penny. And now... the NBA wants a piece of the action. 19 NBA teams have agreed on three-year contracts to implement a 2.5 by 2.5 patch on the upper right-hand side of the athlete’s jerseys. But how did the NBA get involved? In 2013 the NBA board of governors scheduled a conference meeting to discuss if placing a small company logo on the apex of these jerseys would be a good idea or not. "how much money are we going to make?" After meeting, the board of governors decided that the profits from this sponsorship would be healthy enough to implement the logos. To start, nineteen teams partnered with brands, with many of them focused on partnering with the top companies located in the team’s city or state. Each company paid different amounts based on the team. The better the team the higher the cost to integrate the brands logo on the jersey. Is it worth it to pay such large amounts of money to have a 2.5 by 2.5 patch on a jersey? These brands certainly did their homework and figured out the cost per minute (CPM) of airtime was worth that juggernaut of a fee. 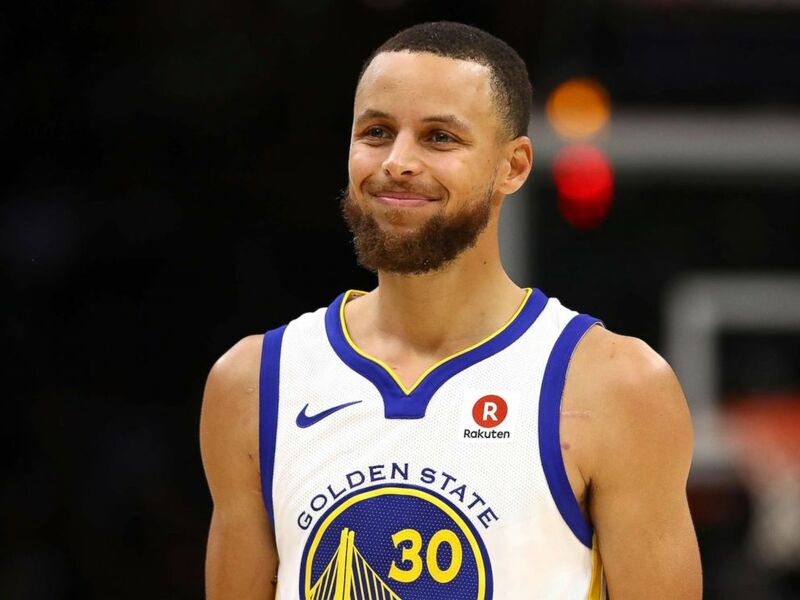 Some NBA teams have kept their contract details private, but other teams have been very proud to share with the public the multiple million-dollar contracts they finalized. The more notable sponsorship's are Goodyear, General Electric, Wish, Disney, StubHub. 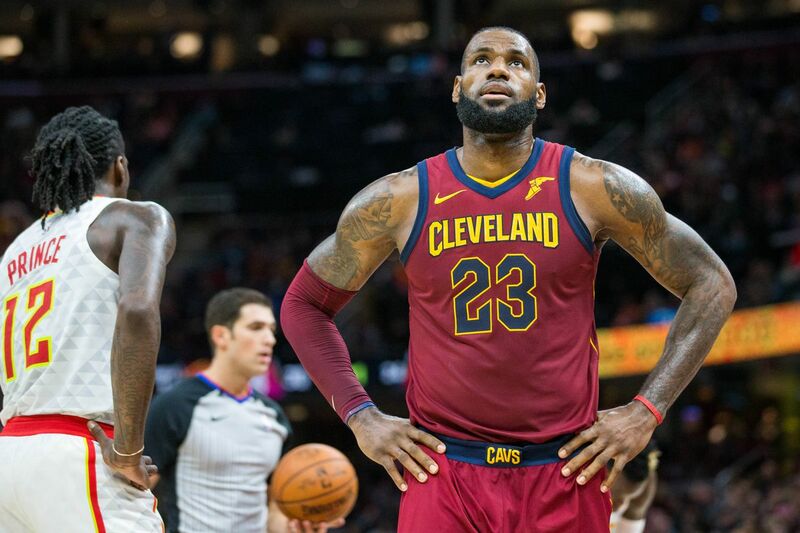 The Cleveland Cavaliers finalized a deal with Goodyear, which states that Goodyear will pay the Cavaliers $10M a year for three years. The smallest contract belongs to the Utah Jazz which is earning chump change compared to the other NBA teams, who are "only" getting $4M a year for 3 years from Qualtrics a software company based in Utah. The largest and most outrageous contract belongs to none other than the Golden State Warriors. The warriors have been making money move these past five years. They are arguably the best dynasty in NBA history, after winning three finals championships in four years. Golden State’s following has grown exponentially along with their success. Therefore, the price to get your company’s logo on their jersey is going to be much higher. Rakuten, a Japanese eCommerce company, pays what may seem to many an absurd amount to the Golden State Warriors. They agreed upon a 3-year contract that pays the Warriors $20M each year! That’s the price you must pay to be seen on four NBA all-stars chests. General Electric agreed to pay the Boston Celtics $8M each year for three years. That’s about the standard rate to be seen on the front of the team’s jerseys. Many of the brands who are sponsors are ones that are incredibly recognizable to the NBA fan. They have for years targeted a male demographic and sports fan. These include: FitBit, Harley-Davidson, Goodyear, General Electric, and Walt Disney. And then there are the ones that are going to send many of those fans to Google who the brand adorning the chests of their favorite team members actually are. These include: Bumble, Rakuten, Sun Life, Sharecare, Ultimate Software, LendingTree, Blue Diamond, Squarespace, Infor, and Zatarians. Obviously, these partnerships benefit the teams, as they get MONEY! But how do these uniform logos benefit the NBA and the companies who are spending such high budgets to be there? First let’s see how its beneficial to the NBA. The NBA gets a piece of the action off all team's individual sponsorships. The NBA has overall sponsorships that they take in, and that the team gets a bite of. And the same works in the reverse. Adam Silver claims the NBA will rake in around $100M dollars from allowing teams to sell a patch on a jersey. According to Forbes, they claim the cost would be around $2,710 per player per game. Also, Forbes stated that the cost per square inch of the patch is $677.50 per game. For the most part they have! But the return hasn’t been from an increase in sales. GumGum sports is a sports media valuation company, and recently they concluded that this advertisement opportunity will generate $350M of value for these sponsors. That basically is covering the actual investment the brands are putting in. And for brands who want at least a 3:1 ROI... the value isn't there. If this value isn’t from sales, then what is it from? That’s right you guessed it, it’s from social media! Social media is the main driver behind the sponsors revenue. Social media has been influential in today’s generation. Social media platforms help companies grow and spread their name. Also, the company receives a ton of exposure. There are 82 games in the season and each game last for approximately 3 hours. So, that’s 246 hours of exposure for each company. Game one of the NBA finals had 17.4 million viewers taking part in the action. Each one of those viewers could not miss the Goodyear and Rakuten patches on the front of the jersey’s. The NBA is turning to a global sport. Jumping on the sponsorship train early is a great idea. Who knows, maybe in five years companies may have the option to pay more for a bigger patch. It will be interesting to see if any other sports will adapt this sponsorship opportunity. In the long run the NBA teams are the big winners, but the sponsorship companies aren’t far behind. So your brand can't pony up and spend millions of dollars to be on the chest of a basketball team this next year? 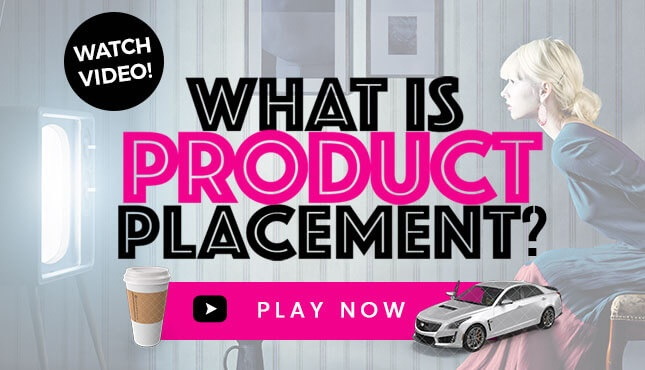 There are other options to consider - like product placement! Across TV shows and feature films there are fictional opportunities to have your brand interwoven into scenes - even fictional basketball jerseys and court signage. 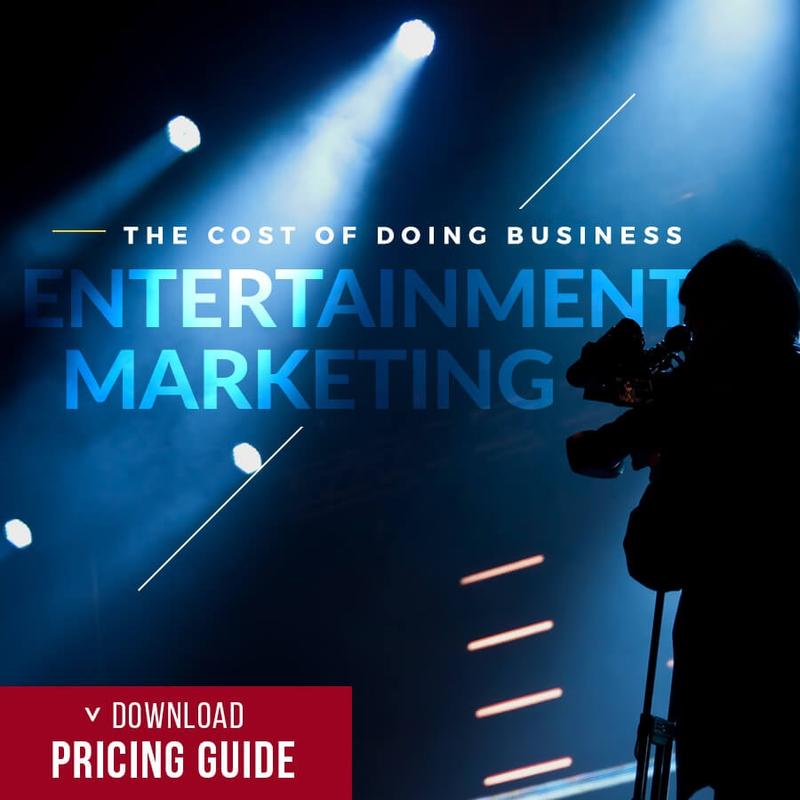 We always have our pulse on what upcoming movies offer, so when you are ready to start getting in on the action, keep Hollywood Branded in mind to help! 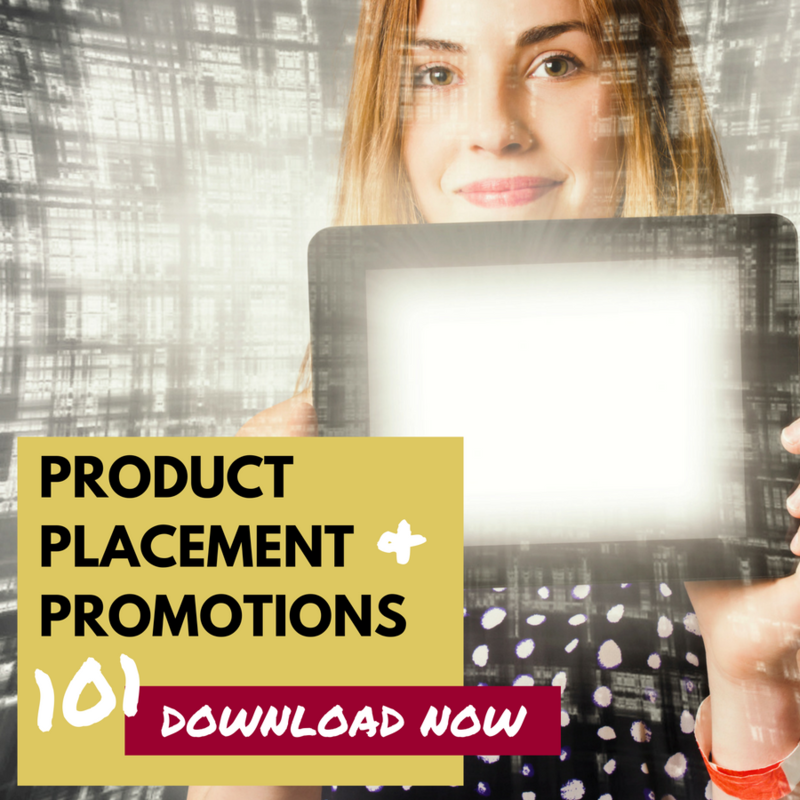 For other articles on product placement (we have so many!) check out one of other of our blog posts and also the infographic below.